In a large heavy duty dutch oven, heat olive oil over medium heat. Add onion and red bell pepper; saute the vegetables for 8 minutes or until soft and lightly browned, stirring occasionally. Stir in garlic and chili powder; cook for 1 minute. 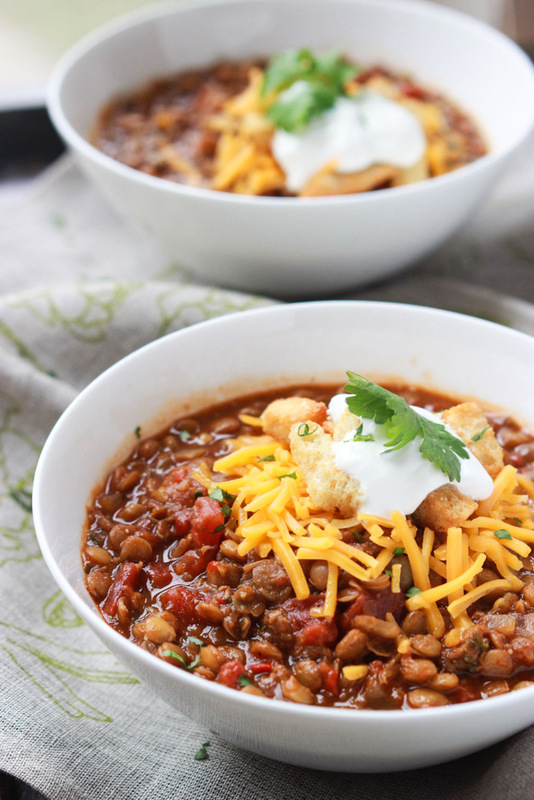 Visit Lentil Chili @ littlebroken.com for full instructions.